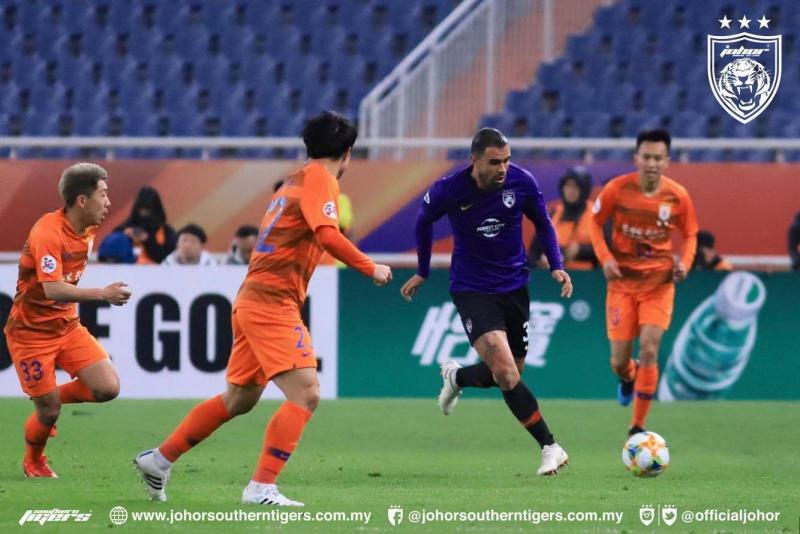 The two former Premier League stars, Marouane Fellaini and Graziano Pelle, were on the scoresheet as Shandong Luneng FC to beat Johor Darul Ta’zim (JDT) 2-1 at Jinan’s Olympic Stadium. JDT’s defense withstood half an hour of pressure form the Chinese side before former Everton and Manchester United midfielder Fellaini headed in the first goal. Seven minutes later, Shangdong’s lead doubled as another former Premier League star, this time Southampton’s Graziano Pelle, scored a penalty after he was fouled by Aidil Zafuan Abd Radzak inside the area. JDT however managed to bridge the gap in the 59th minute when a goal from Safawi Rasid helped the visitors claw their way back into the game. However, it was ultimately not enough as the Chinese side saw out the 2-1 victory. The defeat saw Benjamin Mora’s squad staying in Group E with one point from three games. Both teams will meet again at Tan Sri Hassan Yunos Stadium, Larkin on April 24.